Geared with its new Apple Pencil-compatible budget iPad in mind, Apple has announced "Everyone Can Create," a free curriculum available to teachers looking to build artistic endeavors into their classes. The program includes various resources and guides, with the aim of helping teachers integrate elements like music, drawing, photography, and filmmaking. These cover a range of subjects —such as math, history, and science —with the idea of getting students to use an iPad in creative ways to learn about topics like fractals. The curriculum is similar in concept to Everyone Can Code, Apple's effort to spread Swift programming in schools worldwide. 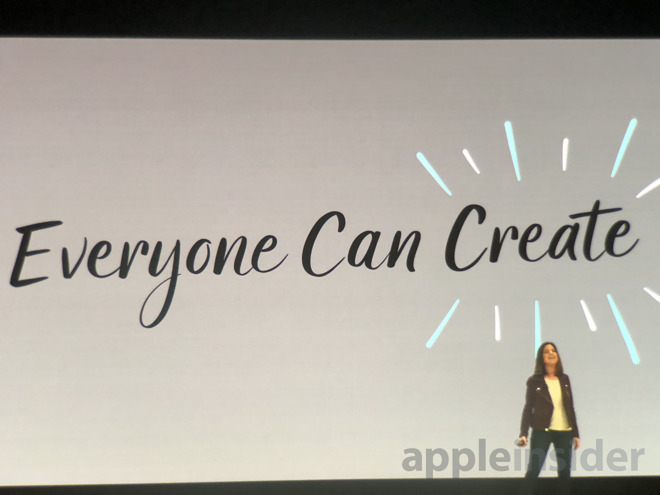 Everyone Can Create will be taught to teachers through Today at Apple sessions held in the company's retail stores. 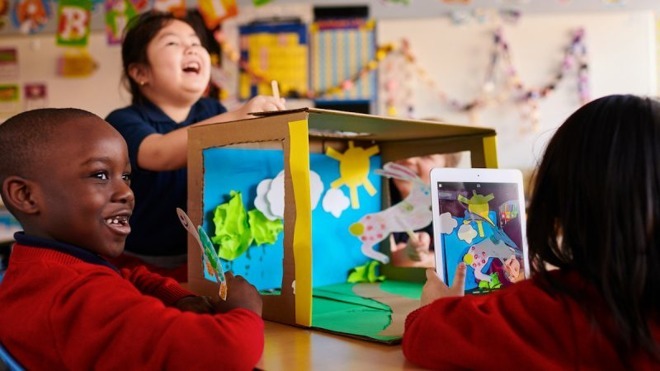 "Creativity sparks a deeper level of engagement in students, and we're excited to help teachers bring out that creativity in the classroom," said Apple's senior vice president of Worldwide Marketing Philip Schiller. "When you combine the power of iPad, the creativity of Apple Pencil, over a million iPad apps in the App Store, the rich curriculum in Everyone Can Code and Everyone Can Create, and unique Classroom and Schoolwork apps that support students and help schools manage technology in the classroom, we believe we can amplify learning and creativity in a way that only Apple can." The new iPad, already on sale, is little changed from its predecessor, its other selling points being a faster A10 processor and a $299 pricetag for schools. Regular shoppers must pay at least $329. Other classroom-oriented updates on Tuesday included new software for schools, such as a planned iWork update for iOS with Apple Pencil support and the ability to build digital books in Pages.